Prince George Plaza is the heart of the CBD – a meeting place and venue for unique activities, events and cultural experiences. 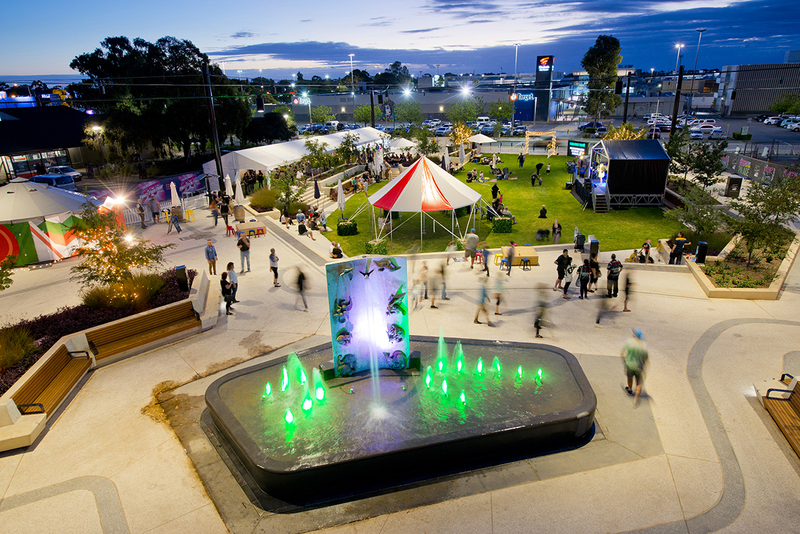 It pays homage to the city’s history with the restored Windsor Green fountain, originally unveiled by Queen Elizabeth II, and links new and existing retail, commercial, hospitality and entertainment facilities together with the added connectivity of free Wi-Fi and smart infrastructure. 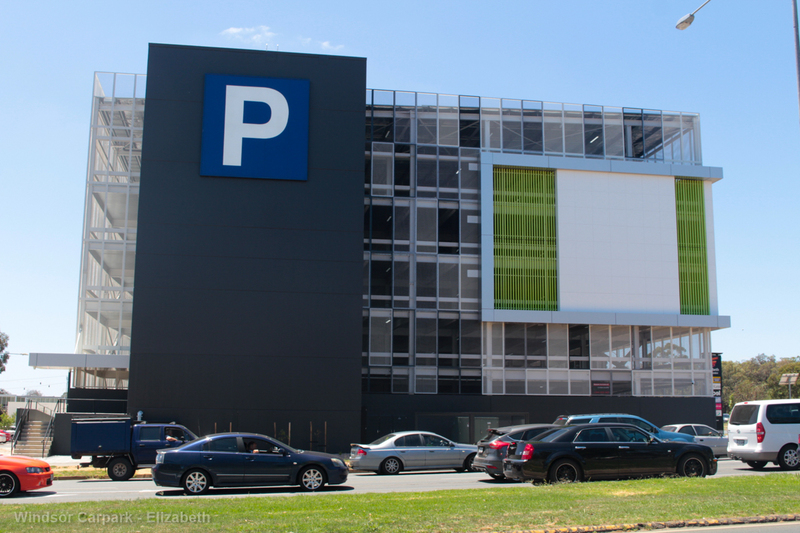 With capacity for up to 361 vehicles, the recently-opened Windsor Carpark is a critical factor in enabling progress on the CBD’s proposed hotel, retail ventures, medical hub, government offices and Playford Arena – projects that will greatly increase visitation to the CBD creating the need for parking space. The $7.4M carpark has received $1.5M in State Government funding. 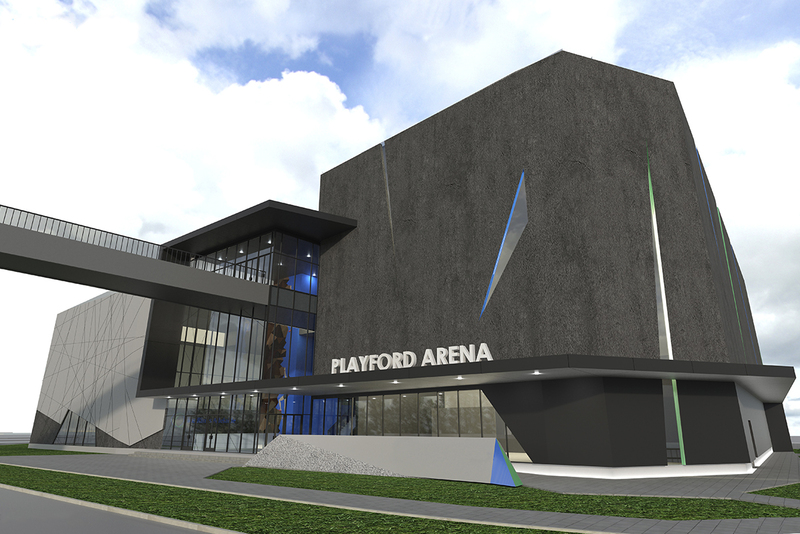 The $40 million international standard multi-purpose sports and entertainment facility is set to host significant sporting events and concerts including ice hockey and figure skating world championships and national and international rock-climbing championships. The arena will also be a major concert venue attracting major national and international entertainment and music acts. Bringing jobs, economic and tourism growth, this iconic 4.5 star hotel will feature over 200 premium rooms and add vibrancy to Prince George Plaza and our CBD. Occupying six storeys, this world-class hotel will include restaurants, rooftop and sports bars, gym, swimming pool and function rooms. 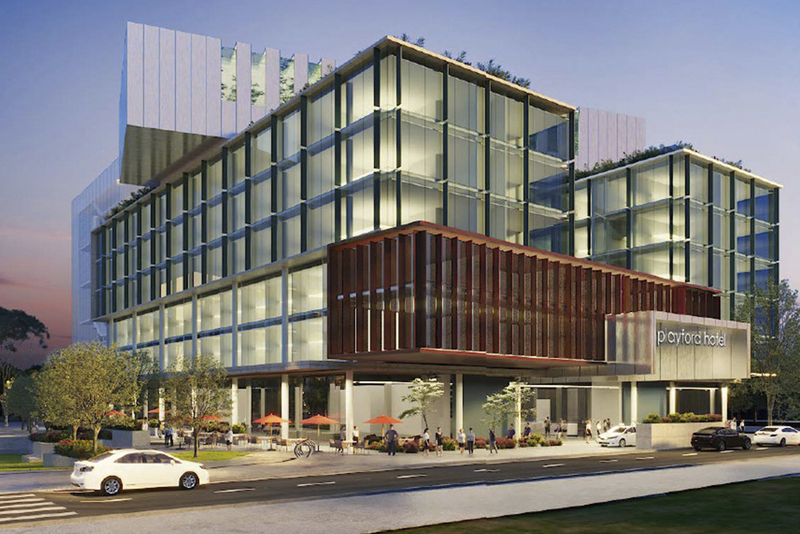 Building is expected to commence in early 2019. 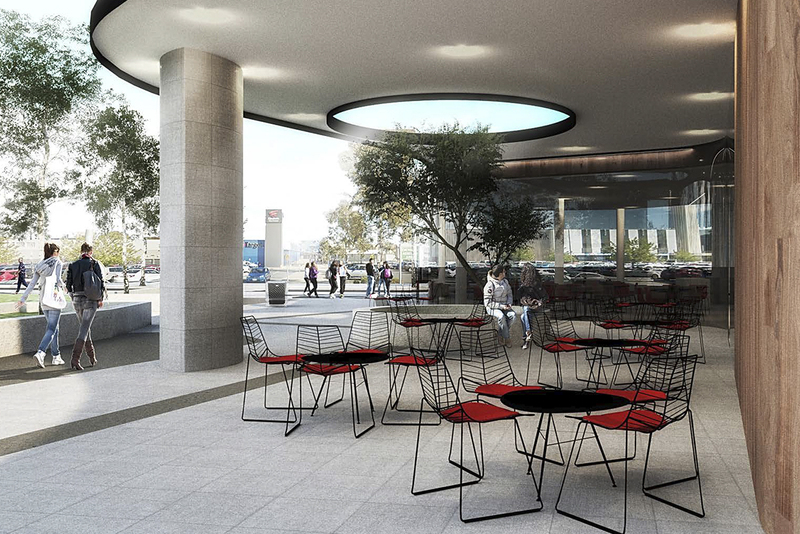 Providing great indoor and al fresco dining on the terraces of Prince George Plaza, construction of the restaurant and cafe is already underway. The restaurant will be operated by Fasta Pasta and is expected to open in mid-2019, creating local jobs and providing more opportunities to enjoy our growing CBD. GPaxis Medical Group is soon to commence a $12M medical centre to support growth in health service needs in the region. The multi-storey facility will provide access to GPs, specialists and allied health practitioners, reducing the reliance on the Lyell McEwin Hospital, while servicing the community with after-hours GP visits and potential day-surgery facilities. 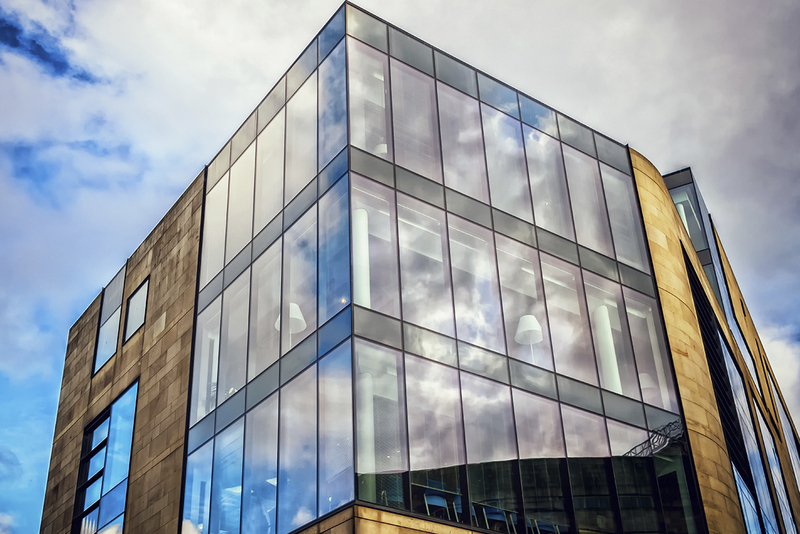 Currently in negotiation, this project offers an ideal location as a northern base for a major service organisation. The services provided by the prospective tenants will support the growing needs of a diverse community and bring up to 400 workers into the city, boosting the economy and stimulating community activation of the plaza and surrounding retail businesses. 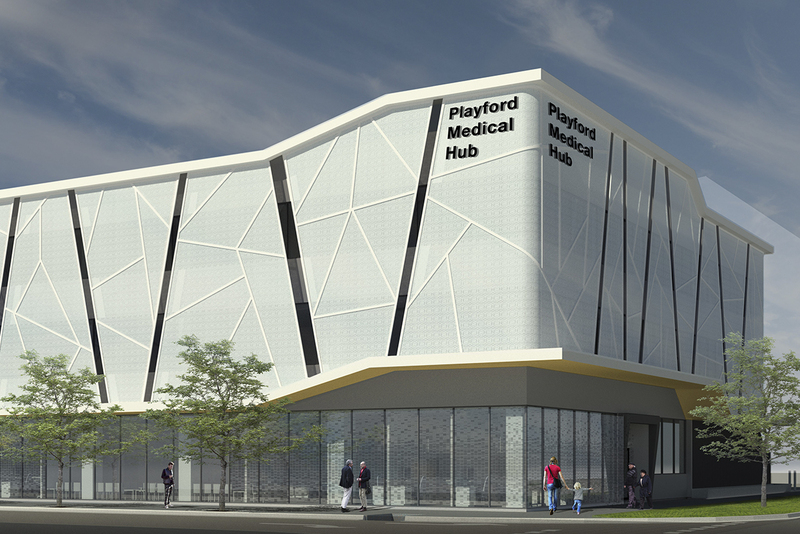 The City of Playford is developing a high-tech, smart health hub that will see the expansion of the area surrounding the Lyell McEwin Hospital into an interconnected health precinct featuring tertiary training, research capability, allied health facilities and residential accommodation. 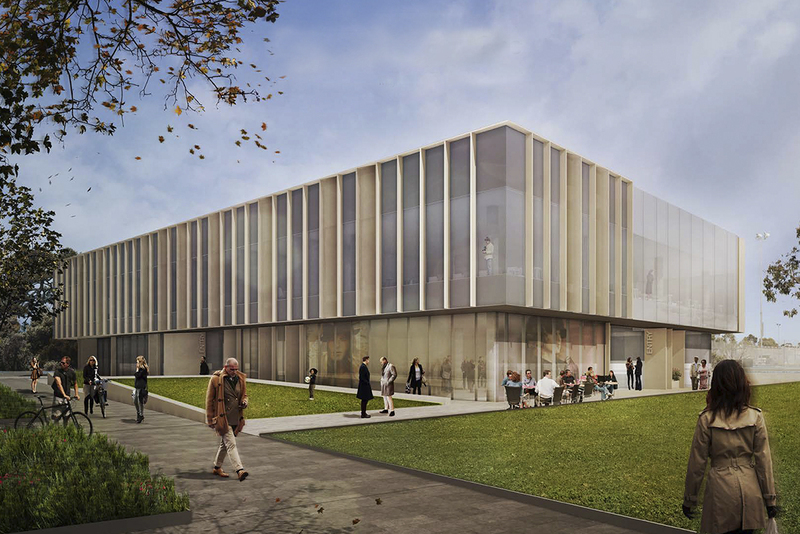 The precinct will include a centre for restorative health and wellness to be constructed by the ACH Group. Ridley Reserve is now the official training base to the Australian A-League team and 2016 Champions and Premiers, Adelaide United Football Club. 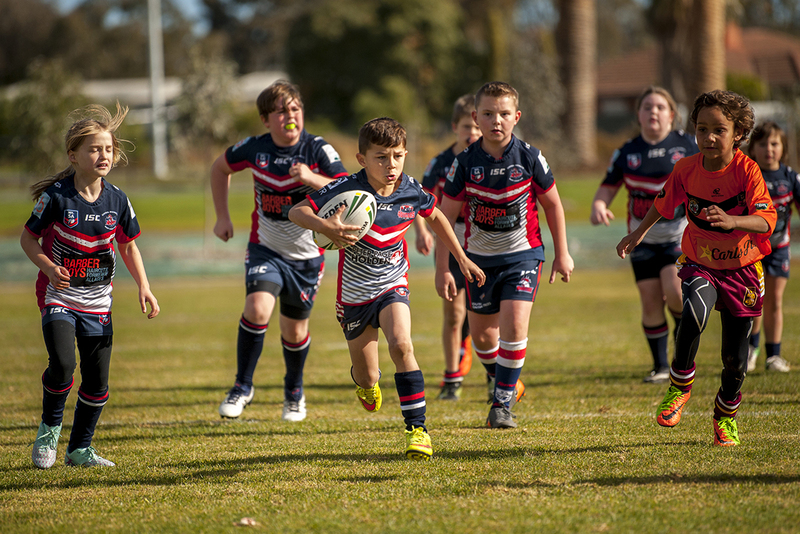 The complex includes a dedicated training centre, multi-purpose community hall and two soccer pitches, equivalent to those at Hindmarsh Stadium. 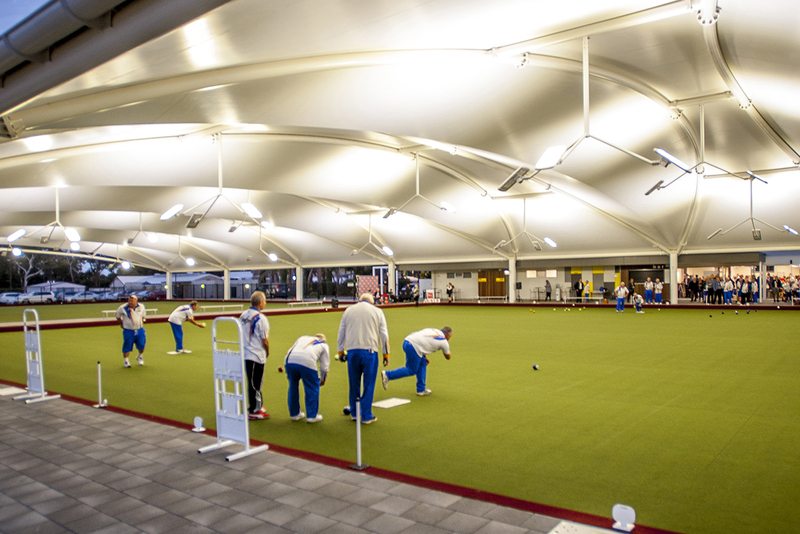 The largest undercover lawn bowls complex in the southern hemisphere opened in 2018 within the City of Playford Sports Precinct. The centre is home to the Playford Bowling Club, and includes modern clubrooms and undercover artificial pitches, located on Goodman Road in Elizabeth South. Eyre Sports Park is part of the newly renamed suburb of Eyre, bordered by Womma, Stebonheath, Petherton and Andrews Roads, a development partnership between the City of Playford and AV Jennings. Construction of the new community clubrooms is now completed and the site is now home to local rugby, cricket and soccer clubs.